I am finally coming back around to saison style beers. Initially farmhouse beers were one of my favourite styles but as more and more breweries tried their hand at crafting their own version I found myself sampling more and more misses than hits. After which I became a bit burnt out on the whole concept so like any diligent beer geek I quit cold turkey. Perhaps it was my recent uprooting that got me (re)thinking that it was time to check back in or perhaps it was the fact that hot Ontario summers demand a different kind of beer but I got curious to see just what kind of saisons are brewing now. 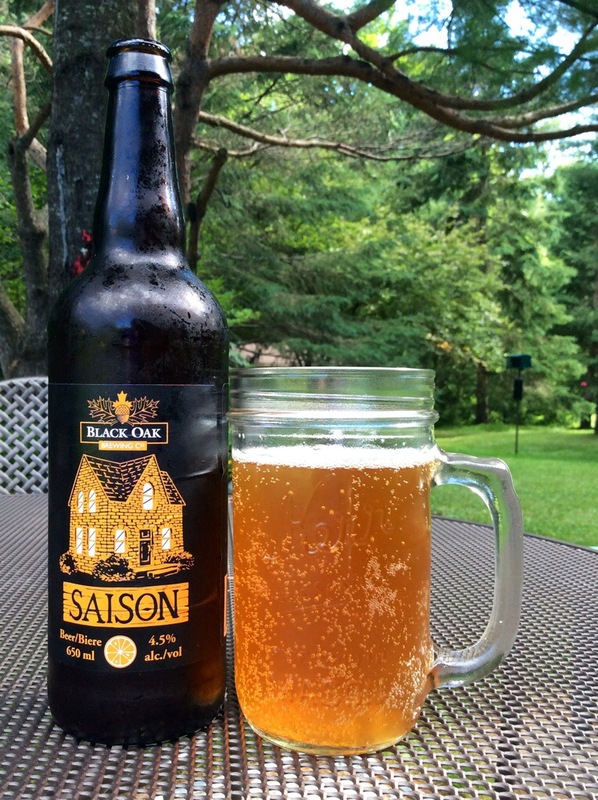 So as I sit outside on this very warm and breezy Saturday listening to my neighbours blare music with lyrics like "Country girl, shake it for me" I am indulging in Saison from Black Oak Brewing Co. based in Toronto. I have been intrigued by Church-Key Brewing ever since I saw a brief reference to this small scale brewery in a craft beer documentary. The program showed a tiny red brick Church situated in rural Ontario, which housed an equally tiny ‘micro’ brewing operation. Here small batches of carefully selected, uniquely flavoured ales were lovingly brewed in limited quantities for the most discerning and daring palates. Now I’ll be the first to admit I tend to over-romanticize the small-scale brewer by envisioning a David versus Goliath struggle of the beer purist struggling against the tyrannical beer-opolies (you know who I mean); the proverbial ‘little guy’ who cares more about the craft than the cash. So during my trip to Ontario I planned to visit the facilities and find out for myself just what was brewing at Church-Key. The Church-Key Brewing Co. is located in an old Methodist Church dating to 1878. I am told the brewer consulted with the good people of Campbellford to ensure there would be no objections to opening the brewery in a former Church. The brewing equipment is located inside the common area of the church where an old wooden staircase winds up to an office. Countless bottles lining the walls attest to the brewer’s interest in all things ale related while beer names like The Great Gatsbeer, Catch Her in the Rye, Riders of the Purple Loosestrife and The Scarlet Pilsner indicate a love of literature. The guide informs me little has been done to the original layout of the Church and indeed the fermenting tanks and kettles seem like an extension of the existing architecture -I am not even sure how they got in or could get back out. My father assures me, and the tour guide, even the original ceiling materials are still in place. The retail portion of the brewery is located in an addition adjacent to the Church, and the entire tour takes about five minutes to walk from one end to the other. An interesting fact I learned is despite the obvious link to the physical Church the name Church-Key actually refers to various types of bottle and can openers some of which resemble a simple key. I’m going to try something new this time around and give some background on the beer style I am reviewing before I opine on the merits of the ale. 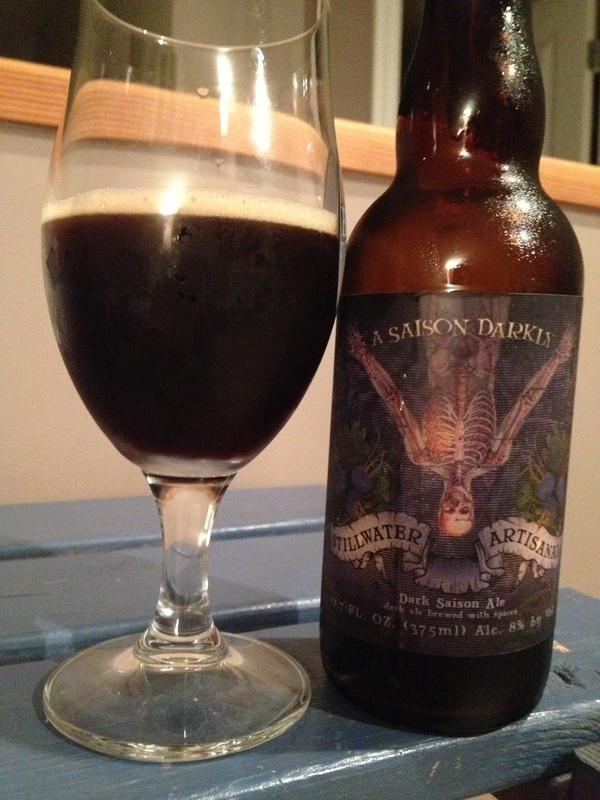 So what the heck is a Saison beer? Saison is French for season because these ales were traditionally brewed in the autumn or winter for consumption during the late summer harvest. According to Randy Mosher’s Tasting Beer the current story about Saisons coming from Flanders and being brewed to sustain workers during the labour season is not exactly historically accurate. Rather the term Saison was applied to the very eccentric beers of Liège as well as the beers of Mons in an area now known as the Saison region (hence the name Saison). The Liège beers were brewed with malt, wheat, oats, spelt and even buckwheat or broad beans. Fast forward to the twentieth century and the modern day versions may or may not contain wheat, tend to be bottle conditioned and have a higher ABV. One of the defining elements of this newly named style is the yeast, a ‘slow cranky’ strain believed to be related to red wine yeast. This yeast is quite heat tolerant and produces lots of peppery phenols. Spices are optional but pepper, orange, malts and grains of paradise are sometimes added. So what do they taste like? Pretty Things Jack D’Or is a ‘Saison American’ brewed in Westport MA. I sampled batch 11 bottled February 2010, which has a 6.5% ABV. This saison pours a cloudy gold with a thick creamy head. 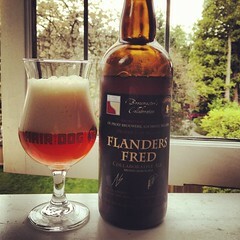 There is a strong peppery nose with some subtle malt (or yeast) elements wafting through. It is quite dry with a bitter hop bite lingering after you swallow. Despite the cloudiness there is a real effervescence to Jack D’Or, the ale bubbles away in the glass long after it has left the bottle. Speaking of the bottle I would amiss if I did not mention the amazingly creative labels that adorn the Pretty Things bottles. *Mosher, Randy 2009 Tasting Beer An Insider’s Guide to the World’s Greatest Drink. Storey Publishing North Adams MA.